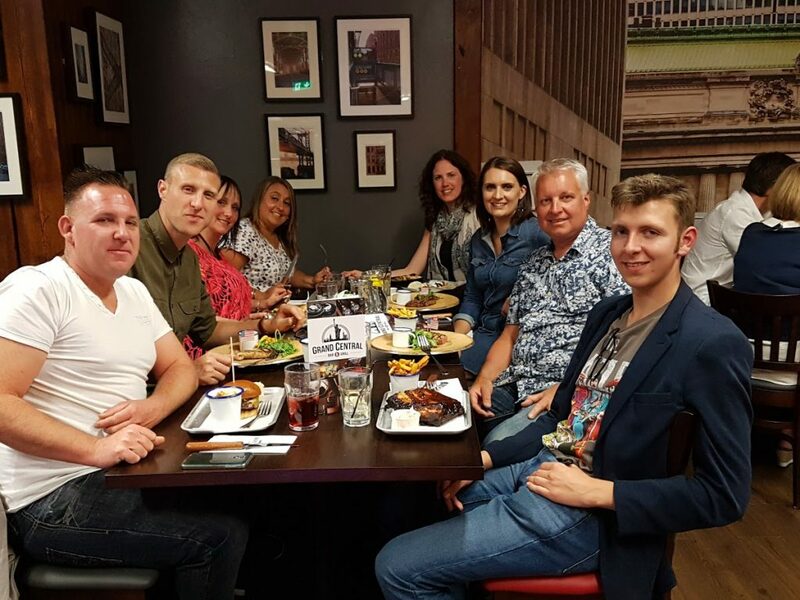 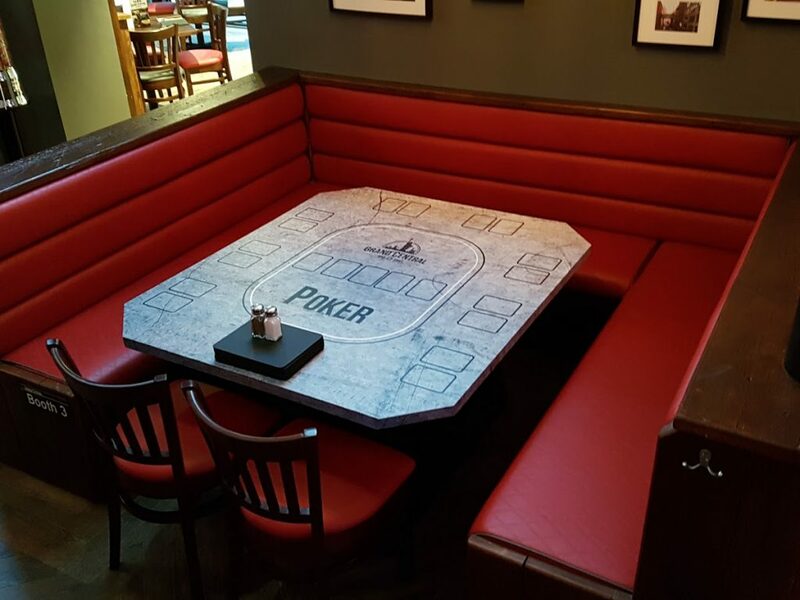 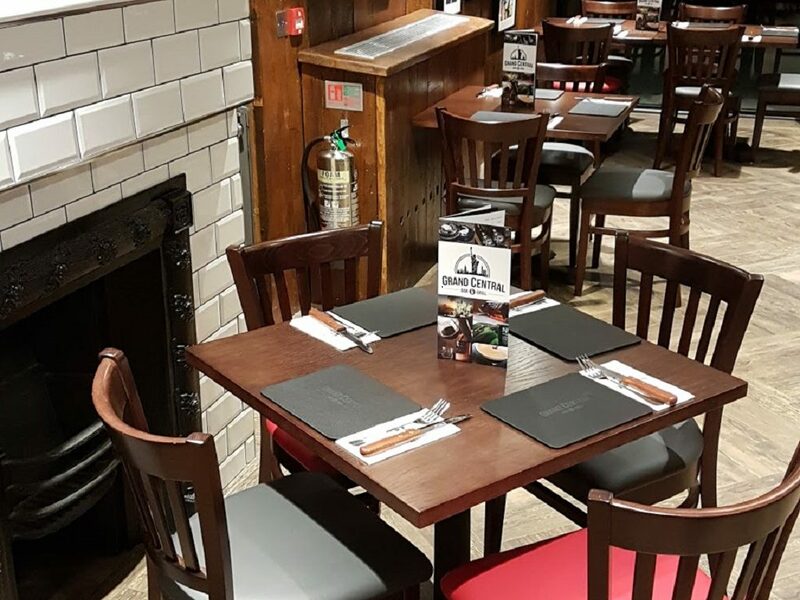 The Grand Central in Chelmsford, Essex, opened their doors last week with all the seating upholstered by our team. 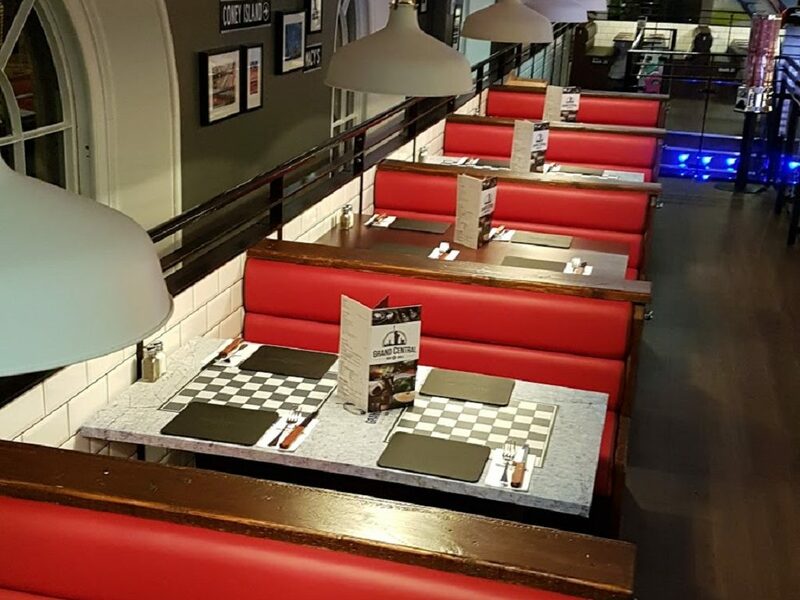 With a total of 250ft of booths, 130 dining chairs and 8 stools, the project kept us busy. 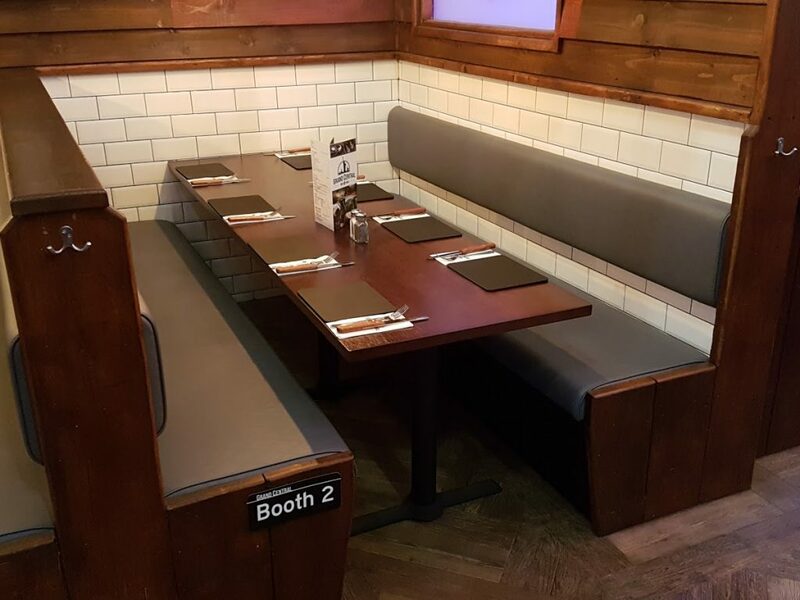 The upholstered restaurant seating were completed well within the client’s deadline of two weeks and complimented the interiors perfectly. 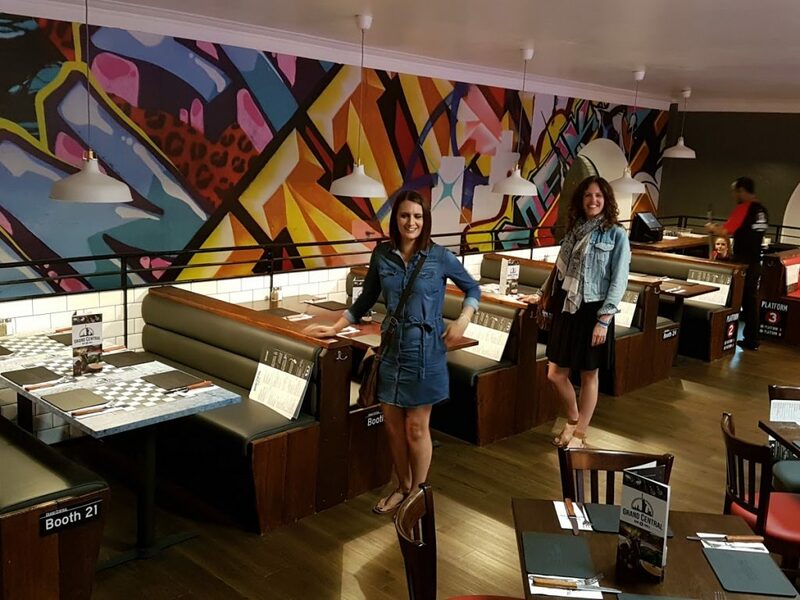 Helen & Tanya showing off the booths!